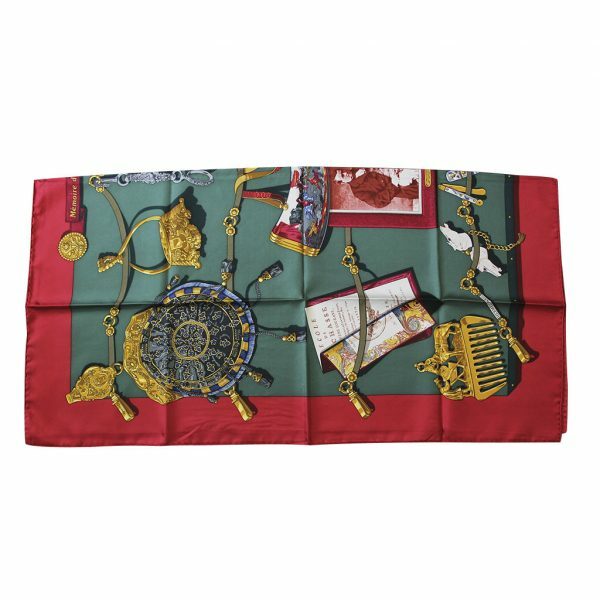 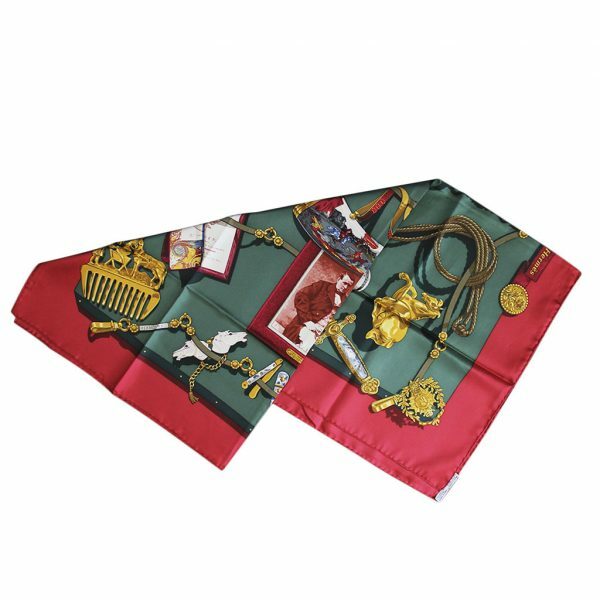 Condition This Hermes 100% Silk Memoire d’Hermes Red/Green/Gold Scarf is in excellent condition. 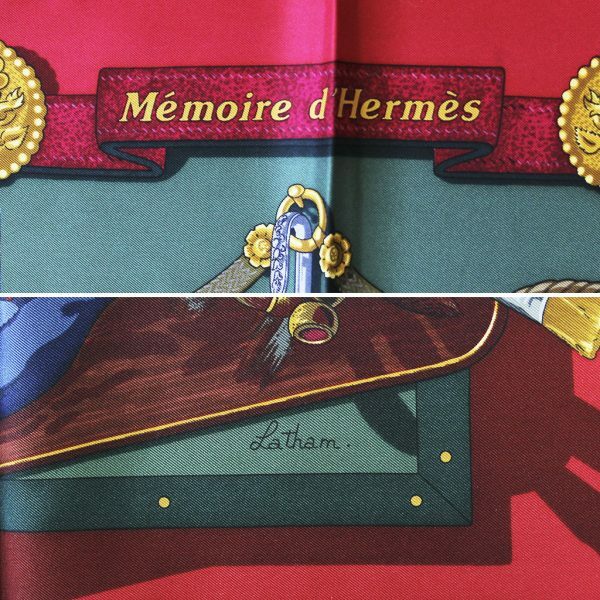 This beautiful Hermes scarf was created by the artist Caty Latham who has collaborated with Hermes to create visually appealing artwork on silk scarves. 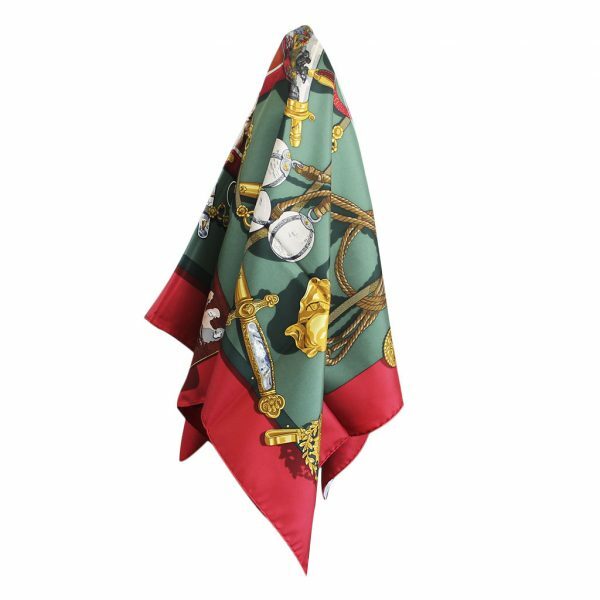 This Scarf shows no visible signs of wear, including no stains and no pulls in the silk. 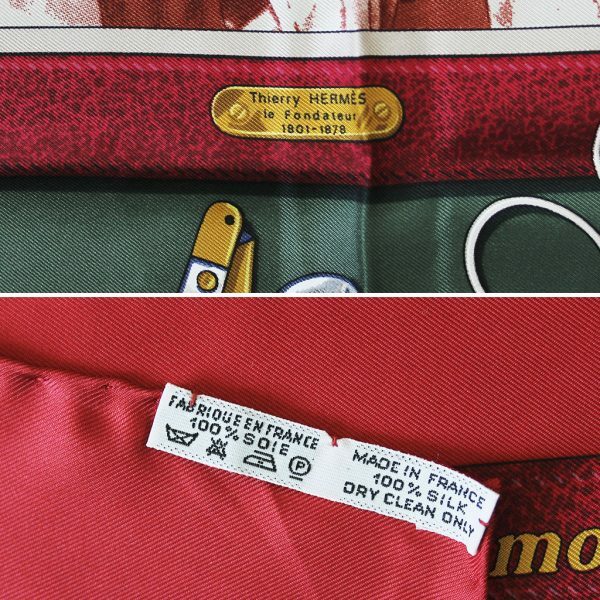 The scarf measures 36″ by 36″ and has a portrait of Thierry Hermes himself in the center of the scarf. 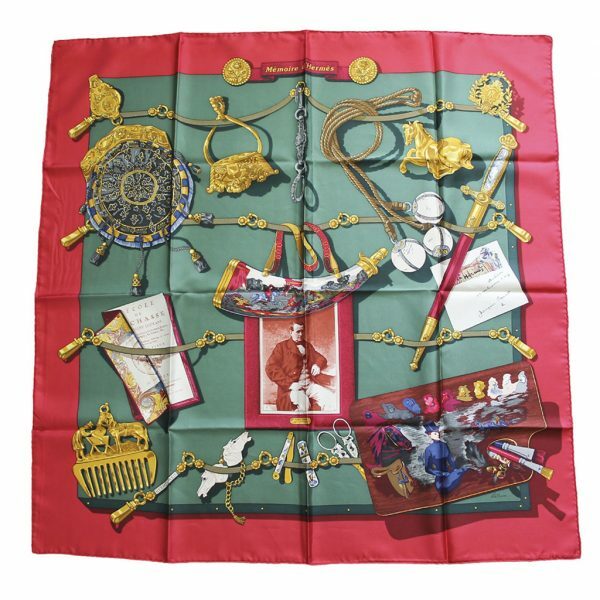 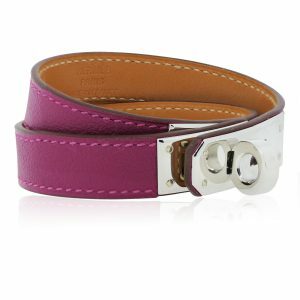 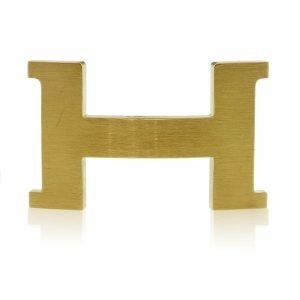 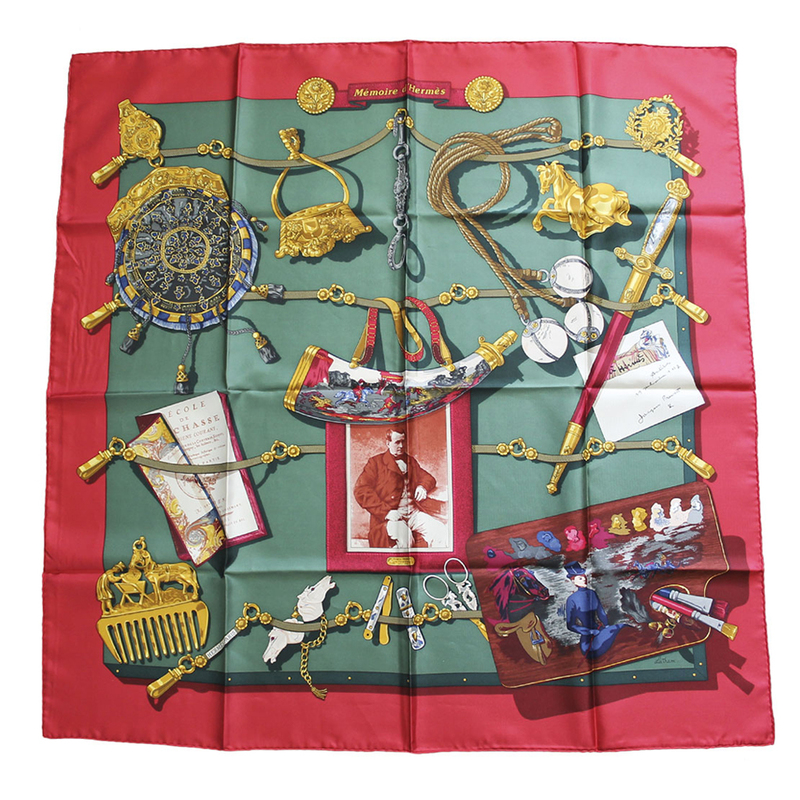 The overall scarf represents historical accounts of Hermes including his love for equestrian sports. 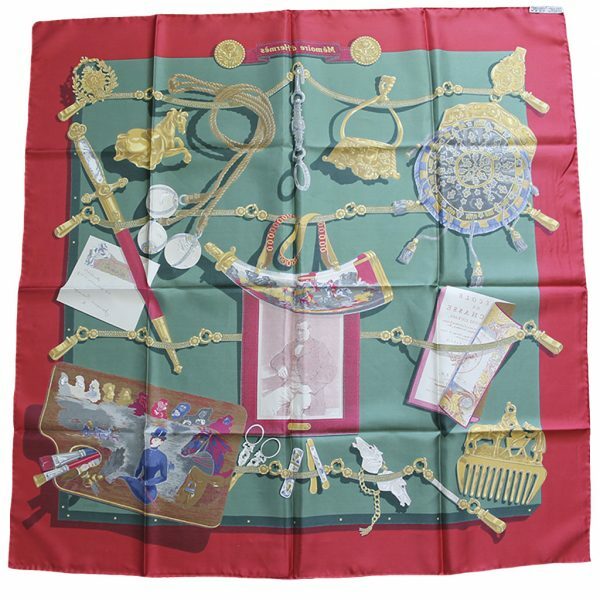 Don’t pass up the opportunity to own this beautiful 100% authentic Hermes silk scarf. 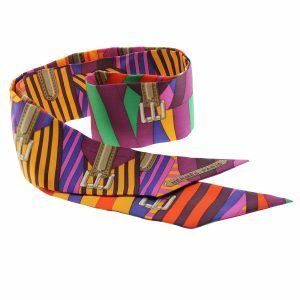 Buy it now or make us your best offer!